New Land Enterprises’ development of the Goll Mansion property, located at 1550 N. Prospect Avenue, has been in the works since 2005 when New Land Enterprises purchased the property. The current plan is to build a 27-story 35-unit condominium building that would utilize the historic Goll Mansion as the lobby of the condominium building. This plan would add $60 million to the City of Milwaukee’s tax base, enhance the skyline, bring new residents to the city and save the Goll Mansion. On July 17th a community meeting was held to give the public an opportunity to hear about the proposal and ask questions. Architect Scott Kindness started with an informative overview of the proposed project and went a step further by attempting to explain the zoning issue. He displayed renderings of a shorter although wider building that could be built within zoning and a preferred option that was taller and narrower that would require the zoning change. He went on to explain that the the preferred design wouldn’t take up any more volume than the current zoning allows but with the change in zoning it would allow them to create a taller thinner structure. Local historian Russell Zimmerman spoke at length about the history and the specific plans to restore the Goll Mansion. He addressed citizen concerns over building the new structure behind the historic Goll Mansion by pointing out that building a new structure in conjunction with restoration is actually a preferred preservation technique utilized in numerous cites. He compared this project to the preservation of the Villard Houses in New York City which blended the historic structure with a new high-rise now known as The New York Plaza Hotel. Because this project will involve historic preservation work both the Milwaukee Preservation Alliance (“MPA”) and the National Trust for Historic Preservation were collaborated with during the design process. Further it was explained that before this project breaks ground there will be a memorandum of agreement in place to insure the preservation work happens as promised. Alderman Bob Bauman indicated that the City of Milwaukee will do whatever is legally possible to insure this and that as the intentions are to utilize the Goll Mansion as the condominium’s front door and lobby it seems likely these efforts will be completed with the condominium project. Beyond the historic preservation concerns the audience brought up various additional complaints. Some audience members raised concerns that this $60 million development would hurt their property values, that there’s already not enough parking, and that the proposed development is too close to the bluff. Alderman Nik Kovac got in to the act by responding to some remarks when he stated that “the developer’s track record is relevant” in a clear reference to the New Land Enterprises’ Downer Avenue project. But underling all of these issues was just one issue. Lake views. The core opposition was mainly composed of residents from 1522 On The Lake and despite other concerns their primary interest came through loud and clear. That they didn’t want their lake view obstructed in any way. One resident went so far to propose an additional option, that the property not be developed at all. This drew applause as no change at all is safe and of course wouldn’t impact their view. But what seemed lost on the discussion was that New Land Enterprises’ could construct a building under current zoning that would actually block more of the view than what they are proposing. There will definitely be more press and heated debated over this proposal in the coming months but the choice is clear. Help preserve a historic structure and add $60 million to Milwaukee’s tax base or preserve lake views for the residents of 1522 On The Lake? I live on the northside of the 1522 building and will my “views” be obstructed by a New Land Enterprises tower rising skyward? Yes. Your comments are biased and in trying to find a hook for your story, you fingered the 1522 On The Lake Building. 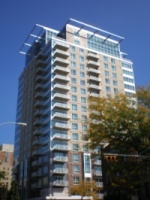 There are numerous residences in the Prospect Avenue area, and ALL are affected by yet another hi-rise. Also, it’s long been public knowledge that “adding to the tax base” is a myth. Do you work for NLE? I support NLE, this development and as many housing units and highrises this city can support. A home purchase, such as a condo or townhome, for most, will be the largest single investment made. With that being said, Milwaukee is a large and densely populated city (20th largest in US), complete with a beautiful lakefront, a growing downtown/multi-ward residential population. As more people decide to locate in the greater downtown area, that demand will increase property values for everyone. Anyone buying a home anywhere downtown (center city, the wards, east side, and lakefront), need to realize, its not IF but, when additional development (high-rises), that could potentially block your views, will be constructed. If you desire to purchase a home anywhere in the areas mentioned above, and you don’t like being around lotsof people, and don’t want more development around you, then go the suburbs! The City of Milwaukee is very fortunate to have a developer that actually loves this city, is bullish on this city’s future and is willing to invest in this city. The city (leaders) now has to believe in its future and invest (TIF creation) in more retail options for all of these downtown residents, workers, visitors, and tourists. Wait, before you excuse me, I don’t work for New Land Enterprises. Views are by no means “right”, but “privilege”. We do live in a major city where large building construction should be expected and come as no surprise. If the condo association of 1522 were so concerned of views being blocked, they should have bought the property themselves and all other properties around it to ensure no “progress” ever be made. Yes, unrealistic, but the only realistic way to prevent blocked views. How may views were blocked by the construction of 1522 a few years back? “Yet another high-rise” – like I said before, take a look at the neighborhood and building in which you yourself live – this should come as no surprise. You yourself are demand of exactly what you are criticizing. Cities are vibrant, exciting, interesting places. That is why people live in them, at least that is why I do (Third Ward), otherwise why would you put up with the “perceived” inconveniences? Constant change and progress causes increased density and vibrancy (hopefully) and is one of cities responsibilities and goals. I also am in no way affiliated with NLE. I have in fact in the past questioned their construction methods, not development methods mind you. As an architect and a one time resident of an older NLE developed building I am aware of some questionable construction practices that have caused inconveniences for its residents, which I believe where done to cut construction costs. No of course I don’t work for NLE, though it’s funny as anyone who supports the project seems to have this accusation thrown at them. (I saw this happen at the meeting the other night). First, understand that if they don’t build the taller building they can still by right (i.e. current zoning) build a shorter but wider building that will in fact obstruct the view even more. Secondly of course other buildings along Prospect are impacted by a new high-rise. For the better. We live in the city where density creates vibrancy. Where old buildings interact with new buildings to create unique neighborhoods. There is no good reason to be against this proposal. View of Lake Michigan > $60 million addition to the city taxbase, historic preservation, and another mid-rise skyscraper to boost Milwaukee’s profile? I dont think so. NLE’s proposed 27-story (between 260 to 300 feet) Goll-Mansion development, according to construction industry standards, will definitely be a high-rise structure, not a mid-rise. Mid-rise buildings typically have five-(5) to ten-(10) floors. Buildings taller than 492 feet (150 m), like the US Bank & 100 East Wisconsin buildings are classified as Skyscrapers. Let’s hope this project moves forward! First of all, how many condo complexes are needed in the same area. Please look around. Whose is going to buy all those condos ( 1 million).? In my onion, it is not a good business decision to build such a high rise in a very narrow space. The city has to create jobs and attract companies instead of giving permit to every single condo building which may sit as a JUNK stone if the units are not sold. If i have $1 million dollars, I would not buy a condo in a building that are so much negative publicity and is surrounded buildings. Additionally, building a modern high rise behind such a small historic bulding probably looks funny. Why not develop and recruit business? These are not mutually exclusive options and really are completely un-related. As far as a “JUNK” stone there is no pubic money in this project so the developer would stand to loose the most if the building doesn’t sell. Further this building will be comparable to a Kilbourn Tower or University Club Tower which have been great additions to the neighborhood definitely not “JUNK”. “Additionally, building a modern high rise behind such a small historic bulding probably looks funny.” As I pointed out in the article this is in fact a common preservation technique and has been done in cities across the country.. Another thing thing that makes cities great is a diversity of styles, where you might have a “Modernism” style structure next to a Victorian or whatever… This contrast makes our cities visually interesting. Wow – to the first comment posted. That’s a beautifully hypocritical comment – if you were at the public presentation meeting for 1522, you would’ve heard the same cries & hollers about how 1522 blocks views of the lakefront, etc… Views are not protected – if you want to protect them, then you should purchase the adjacent property. From what the article states, this complex is (for a high-rise) very low density – only 35 units. For comparison, there are 100 addresses (per milwaukee.gov) registered at 1522, the apartment building to the N of the property at 1560 Prospect has over 100 units. Let alone – it seems like the Goll Mansion could use an update. I’ve been to an office in this building (a while ago) and it’s a shame to see a mansion retro-fitted w/a 1970’s dropped ceiling & flourescent lighting. Not only is the plaza hotel cited as an example of using an existing structure as a grand entrance to a property – closer to home, the Pfister does the same. …thank God the proposed tower for 1550 Prospect is much cleaner & graceful than that. How can anyone in 1522 complain about blocking lake views? Does this building not block someone elses view? For crying out loud, Milwaukee is a major American city. We ought to be building up rather than out. If you don’t like vertical, move to the burbs. I’d have to see renderings for final judgment, but this seems like a thoughtful and reasonable proposal. If the building is slender and set back, it could be quite beautiful, but I also think that skyscrapers should have space between them – not just because of the “Views” issue, but because of claustrophobia on the street and the fact that they just look better with some space! So it’s not unreasonable for the 1522 people to voice some complaints. Thanks for the information about terms for tall buildings. Never know where the line was drawn between the three terms. the new rendering looks good. Pretty classy looking building. The stretch of towers on the bluffs will be quite impressive with this, Park Lafayette, and Breakwater. Almost too good to be true to expect a tower like this to be built along with sizeable projects such as Moderne, Catalyst, Palomar, and the various other condo projects planned in the downtown area. @doug Yea they showed the renders at the meeting and I agree it looks good. Well I don’t know if all of these projects will be completed but NLE seems to build when they get approvals so I’d guess if they get approval this will go up. Plus this one has the best location of the bunch. ^^ have you heard anything in regards to the Catalyst? That project would be the most likely to have an impact on downtown vibrancy, hopefully it isnt dead. @doug well as we reported recently ghazi’s epicentre project in charlotte is in the middle of a legal dispute. BUT the actual Ghazi part of the project is open and the bars are doing very very well. And the aloft is still going up it is just this legal battle over the residential part. So that probably hurts Ghazi but from what I hear they are still trying to get Catalyst going. And I agree this would be a huge gain for downtown Milwaukee so I hope they can get it figured out. I find it puzzling that individuals who buy downtown or near the water pass a stone when a new project pops up. Unless you make enough money to live on the “richer” side of prospect ave., you should expect your view of the lake to eventually get blocked by those who do. New development creates new perspective of how the city views itself and its future. It seems that this is the “view” that is constantly blocked. Development that is sustainable and responsible is what this town needs; because every part of Milwaukee will benefit from it. Thanks for that info, Dave. That part of Wisconsin Ave. could be great if it had some life pumped into it. Yup it sure would help at 4th and Wisconsin… let’s hope. This is a really typical NIMBY situation where the 1522 residents stand to maximize their losses due to their tactics. Some years past there was neighbor opposition to condo development on the west bank of the Milwaukee river along Locust. The initial plan was two or three storeys, not enough to block the river view. The neighbor opposition was successful in blocking this plan but then what actually got built was the much taller building you see there today. The neighbors were naturally upset and blamed the developers, alderman, media, etc. with all kinds of made-up moralistic fables. The truth is the best they could get was a half loaf, and they refused it, so they got no loaf. It boggles the mind that so many people think they have some kind of property right over adjoining land they do not own so that the actual owner cannot exercise his or her actual property rights. It boggles the mind even more that, as in the Shepherd-Express coverage of this story, the typical moralizing fables of east side NIMBY reactionaries is that they are poor (righteous) folk put upon by rich (evil) developers and condo owners. This is all it is: 1522 residents with half million dollar condos are going to lose some view to neighbors with million dollar condo units. Cue the crickets! The overwhelming public interest here is increasing the tax base so everyone–and the truly needy of this city–can get the services they need. Though his real motive was to stop “gentrification,” Ald. McGee tried to block a development a few years ago on the basis of the developers’ truly bad record, and the common council was moved to clarified the legitimate and legal aspects of a developer’s record that can be used to support denial of zoning requests. E.g., unpaid taxes and fines from outstanding B&Z violations. I am not sure what Ald. Kovac was hinting at by suggesting there is some relevant stain on the developers’ record, but if it is not a legally valid basis for bodies like the ZND and CPC to act with prejudice, then it is an illegitimate prejudice. Acting prejudicially without warrant would allow the developer to sue the City and most certainly prevail. @Ervin In response to your first post. yup I agree. Alderman Kovac was referencing the Downer Ave redevelopment by NLE, and the view of many Eastside residents that NLE (Boris) was too close to Alderman D’amamto which in my opinion was basically just garbage gossip with no basis in fact. And Alderman Kovac’s parents are currently suing the City of Milwaukee to literally get the parking garage torn down. The complaint alleges some wrong doing and on the city and the developers part. Where in reality nothing underhanded took place and although the city may have violated the spirit of an open records law there was no malice and surely no benefit. Is this the same Boris Gokhman who is a convicted felon? Maybe that’s what Alderman Kovac was referencing. @stella cretek I think we both know it is, but within the context of the discussion and the fact that the Kovac family is suing the City over the Downer project, he was clearing referring to the Downer Avenue project. Of course there are some who simply oppose NLE (and use his past as another arrow in the quiver) but I feel pretty confident that if Peter Renner (for example) wanted to build this same project, in the same spot he would face similar resistance over the views and a fear of change. Her version of the rendered building from Prospect Avenue shows the A/C unit platforms. You don’t have to live next door (1522) to see the problems with this development because most of them front the public way. @Dennis although there may be some issue with the design, for example I’m not a fan of parking garages either, the vast majority of the complaints have little to do with the design. Sitting through those meetings it is quite clear that the complaints had everything to do with views and change.